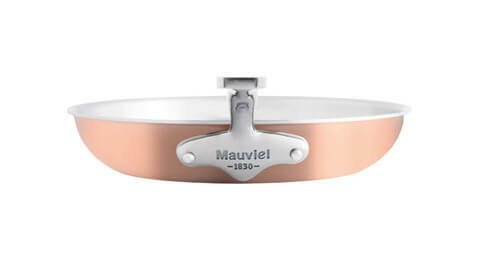 Mauviel 1830 offers ranges for all. All the materials, all the shapes and forms are created in the tradition of the company, with the will to offer each one the right utensil for the right use. 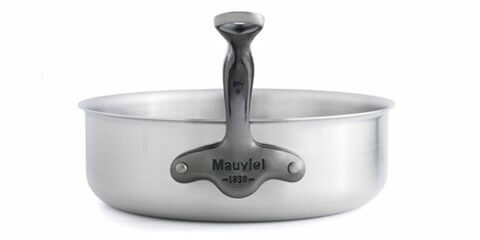 These icons Mauviel 1830, represent the essence of the make, this is why it is important, that understanding the use of each utensil is understanding why Mauviel 1830, today, offers so many designs and so many references: each tool has its own use. A space of a couple of inches between the sides of the pot, and the ingredients is recommended, to avoid dryness of the latter, or dilute their flavors. 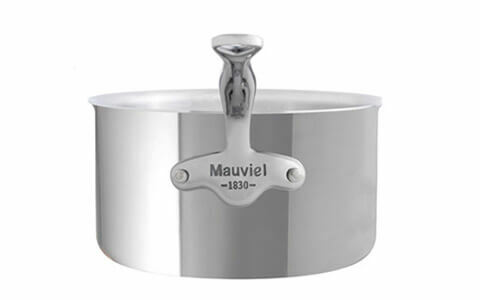 Its cylindric shape is perfect for the elaboration of sauces, “pot au feu” and stews, permitting the coming up to the surface, and so the preparation for clarifying, explains top Chef Yannick Alléno. For the making of a sauce, the use of pans, getting smaller and smaller in sizes, enables this clarifying technique. Using all its diameter, is compulsory. “The opening out of the rims, of the frying pan facilitates the task for the cook, whom is constantly moving ingredients around, using his wrist. On the condition to use the diameter of the frying pan. A space of a few inches is recommended between the sides and the ingredients to cook, to avoid their drying out, or dilute their flavors, according to Yannick Allléno. 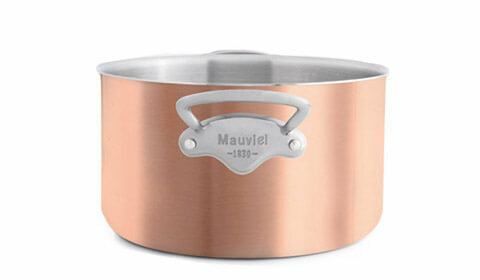 Stainless steel fits in with daily cooking, as well as retaining the juices, useful for deglazing”. Hence, it is only at the end of the cooking process, that the preparation comes to light, and reveals its full flavors.